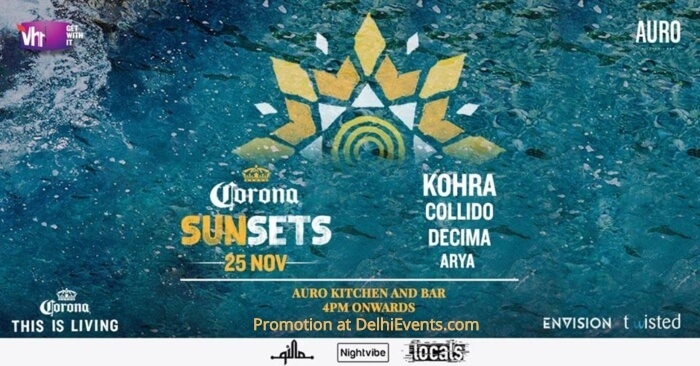 Delhi, it's now your turn to enjoy the Sunset with some Coronas. After a smashing debut in Mumbai, the iconic sundowner now heads to the capital city with some of their best residents playing some raging tunes. Join us as Kohra, Collido, Décima and Arya take the stage!